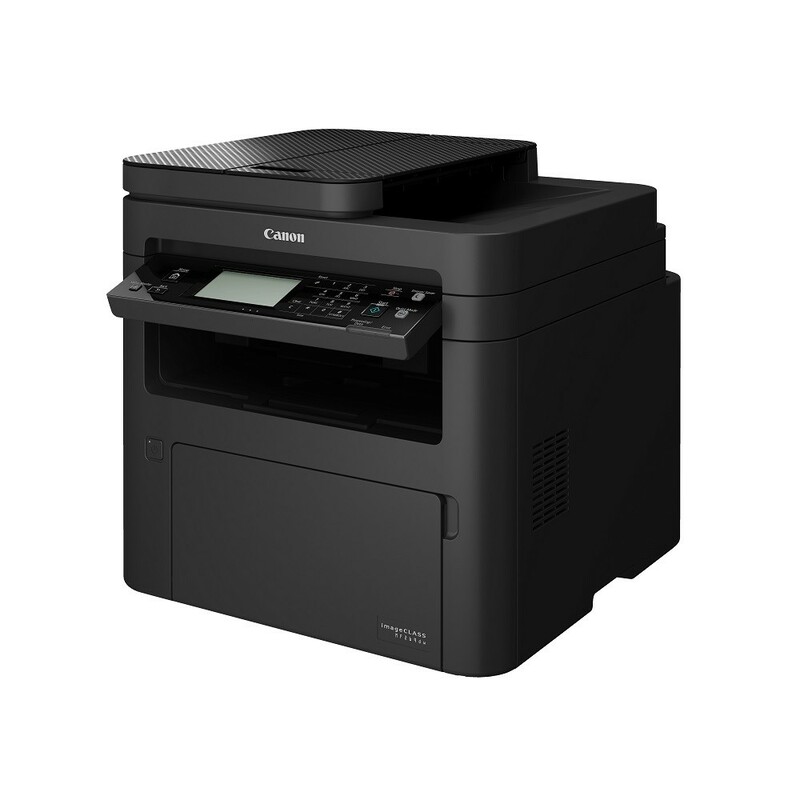 Send function from Premium class Copier is introduced to imageCLASS MF269dw which support direct scan to Email / SMB. 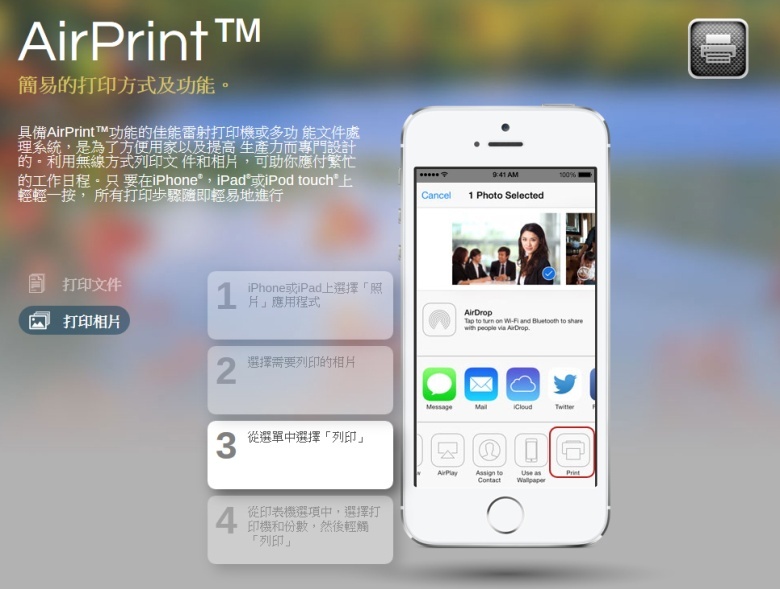 AirPrint™ printing that makes direct printing from iOS device*2 possible. Without the need to connect to a computer nor installation of any printer driver, simply submit the print job over network to get high quality printouts right away! #2 iOS version must be iOS4.2 or later. 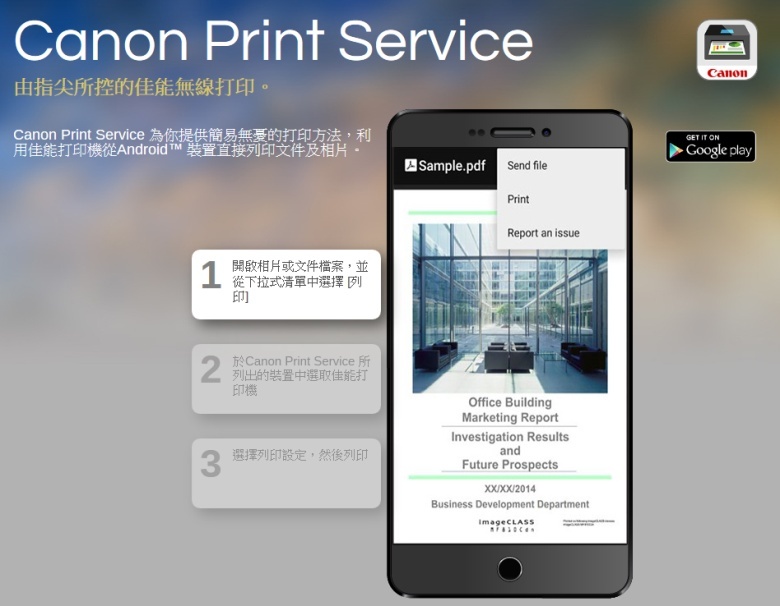 AirPrint and the AirPrint logo are trademakes of Apple Inc.
Canon Print Service/Mopria™ printing that makes direct printing from Android deviceΔ possible. 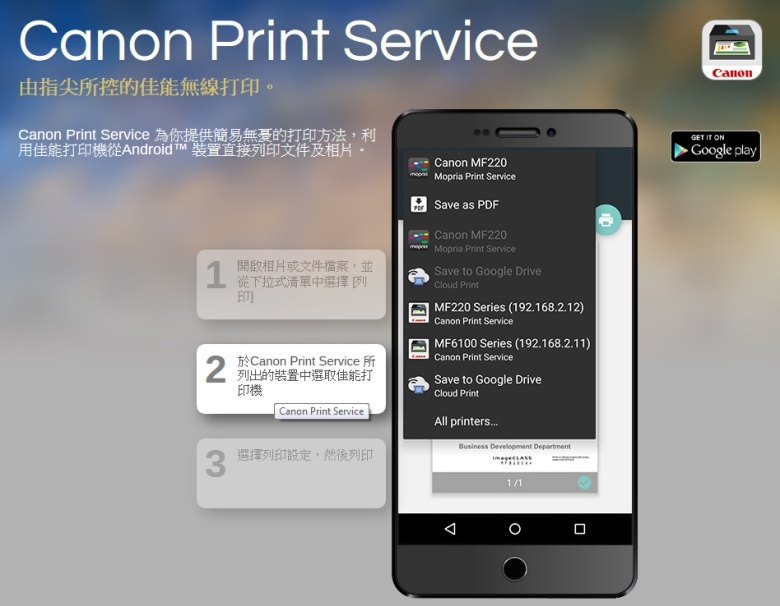 Android™ and Mopria™ logo are trademakes of Google Inc.
“Canon Print Business” is free application that enables you to print from an iOS or Android™ Mobile Device using a Canon laser printer. There are variety in setting on the Mobile Printing Apps include the color mode, page range and paper sizes. In addition, with print pre-view function, it is the best solution for modern office. imageCLASS MF269dw is WiFi 802.11b/g/n wireless and Ethernet network -ready to centralize print, scan and fax through the computer network. This built-in connectivity is easy to use, helps saving the need to install external network card or server. With all printing resources being centralized on one printer, users can save up a lot of office space and cost. 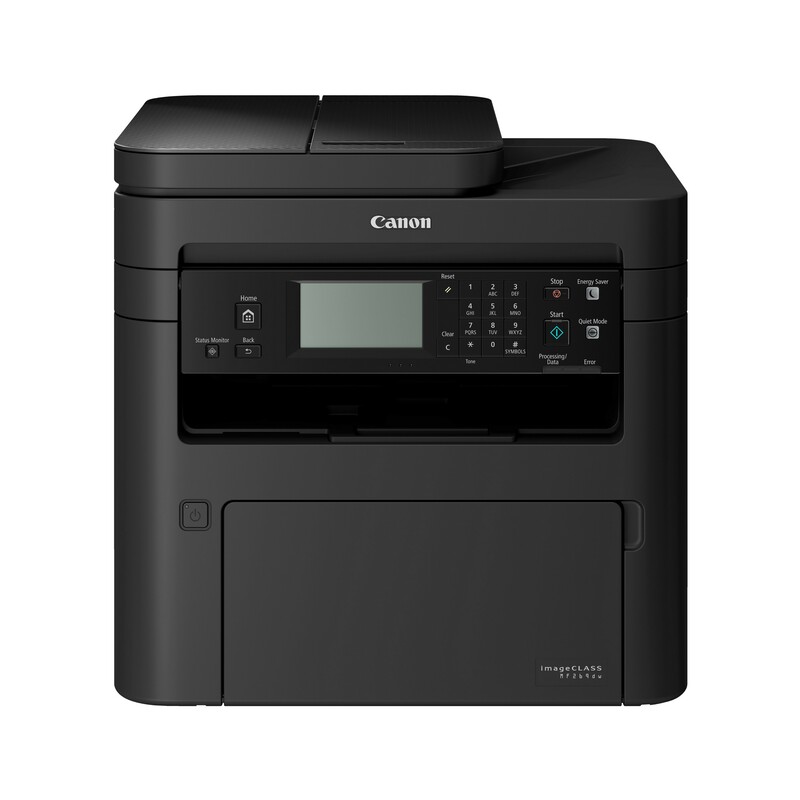 Even without Wireless Router, user can use built in Wi-Fi Direct function (Point to Point) connects Mobile device and printer for wireless print. imageCLASS MF269dw provides a 50-sheet Duplex ADF which support automatic duplex print, duplex copy(double side to double side, duplex scan and duplex fax out. imageCLASS MF269dw has the automatic double-sided (duplex) printing feature, it produces double-sided or even four times on a single sheet of paper, saving cost as well as paper usage for a better environment. Beside, MF269dw has duplex function can be used to print incoming fax on two sides to save more papers. imageCLASS MF269dw built in UFR II, & PCL are all the needs of the business requirement for nowadays in SME, thus increase the efficient on the office. The unique vari-angle operation panel in its class, it has a 2 step tilt which can maintain a complete flush-front profile or tilted at an angle. The versatility allows user to place the machine on top of a desk or a low pedestal. imageCLASS MF269dw is equipped a 6-line Touch screen LCD display that supports both Traditional Chinese fonts and animation for a clear status display. MF269dw features the On-Demand Fixing technology which can warm up the machine in a short time, and UFRII (Ultra Fast Rendering Technology) for high speed data processing, the first B&W print in approx.5.2sec and the print & copy speed at 28 pages per minutes can help handle high volume print jobs quickly. *3 Based on ISO / IEC 19752 testing standard.